Arch Klumpf, considered to be the father of The Rotary Foundation, said in 1930: "Money alone does little good; Individual service is helpless without money; The two together can be a godsend to civilization." Service to our local and global communities is our mission as Rotarians. Financial support for service projects is available to Rotary clubs through grants directly from the District (District Club Grants) and from The Rotary Foundation (Global Grants). Generally speaking District Club Grant projects are for smaller, usually local, projects whereas Global Grants are for larger international projects. 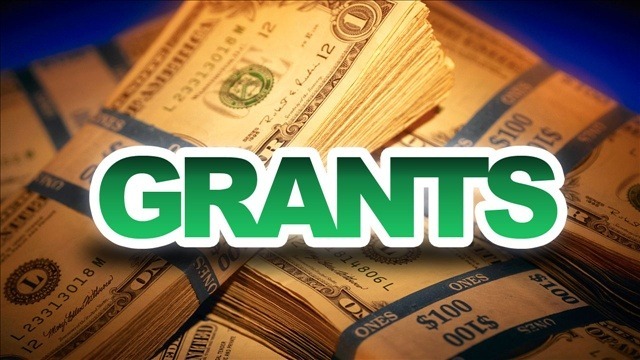 All clubs are encouraged to make use of these grants and the Foundation Coordinators as well as members of the Grant Committee stand ready to answer questions and assist as needed. Clubs requesting grants must meet two basic requirements. First, the club must have a current Memorandum of Understanding (MOU) signed by the club president and president elect. Secondly, at least one, and preferably two or three, club members must complete the on-line grant training within the current or past Rotary year and must appear as one or more of the contact persons for the grant. Below, you will find more details about these opportunities. The Rotary International website also has more information available about terms & conditions. The District Grants Committee reviews each grant application for the appropriateness of the project based on Rotary International's humanitarian guidelines. Upon approval, clubs will be matched on a dollar for dollar basis up to $2,500, based on the amount of funds available and the number of grant requests. Clubs must submit a grant intention form by March 15, 2019 for a grant in the 2019-20 Rotary year. The full application will be due April 30, 2019.
International projects with budgets exceeding $35,000 are best served with a Global Grant (GG). Due to District and Rotary International matching, properly qualified clubs may have the money raised for a project multiplied by 3.5 - i.e. A club raises $10,000 and can then do a project with budget of $35,000. This requires a strong relationship with a Rotary club (known as the host club) in the country where the project is to be done, a needs assessment, and documentation that the project is sustainable. 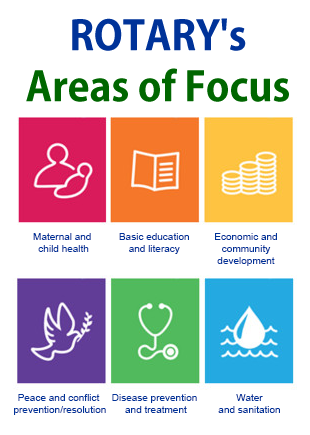 The project must fit into one of Rotary International's six areas of focus. Our goal is for all Clubs to participate in Rotary Grant projects for international or local community service. Grant seminars are provided by the District throughout the year to help Rotarians better understand the grant process.